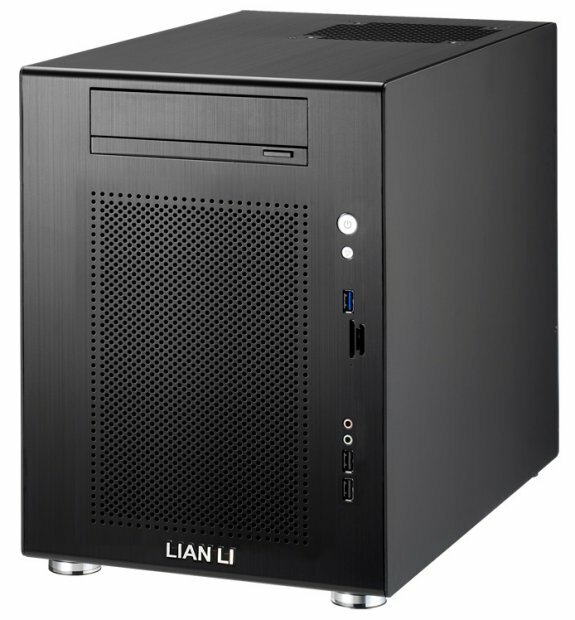 Lian Li introduces the PC-V650, a new ATX/Micro-ATX case that uses a side-mounted power supply design. 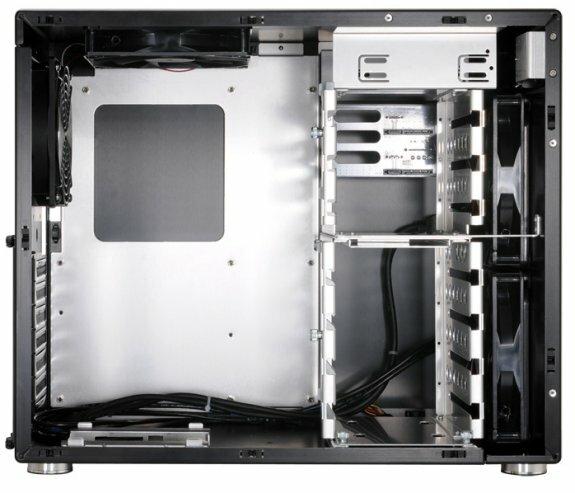 Lian-Li Industrial Co. Ltd, today announces an aluminum ATX supported chassis with a side mounted power supply design – PC-V650. With the power supply to be mounted on its side, the PC-V650 is shorter than most ATX chassis while still having room to install the hardware that DIY builders desire. Instead of sitting underneath the expansion slots, a power supply up 230mm (9.0”) in length can be placed sideways parallel to the expansions slots, adding to the width of the case. With this design the 360mm (14.1”) tall and 251mm (9.8”) wide PC-V650 does not need the extra height to fit DIY builder's preferred components. Even though the PC-V650 is shorter, up to seven 3.5” hard drives (two hot-swappable) and four 2.5” hard drives can be installed. The bottom 3.5” HDD cage, containing four 3.5” slots, is easily removed allowing expansion cards up to 370mm (14.5”) in length. Above the hard drive cages, there is space for one 5.25” drive. The PC-V650 does not sacrifice size for cooling ability. Two removable 140mm fans behind the front panel blow cool air directly on the hard drive cages or expansion cards if bottom cage is removed. A 140mm fan on the top and a 120mm fan in the rear of the chassis keep cool air circulating throughout the case by pulling hot air out of the chassis. For overclockers, CPU coolers up to 120mm (4.7”) fit comfortably. The PC-V650 also supports water cooling with two rubber grommet holes in the rear. On the front I/O panel there is one USB 3.0 port, two USB 2.0 ports, HD Audio connections and a card reader. Installations, maintenance, and upgrades are simplified thanks to the easy-to-remove pop-off side panels. Four sturdy aluminum feet with rubber bottoms reduce vibrations and give ample room between the floor and the bottom of the case. The PC-V650 is available in two colors, black and silver, for the suggested retail price of US$199 (tax not included).